New for the Mini Katana – 4 MODES! The new Mini Katana is now a 4 Mode Booster! With the dual micro switches you have a total of four sounds possible. Need drive, just flip the micro Hi-Gain Switch inside and you’ve got overdriven tone! Flip the Hi-Cut Switch (NEW for the Katana Mini!) on the inside and you have a warmer tone to soften any Strat or Tele. 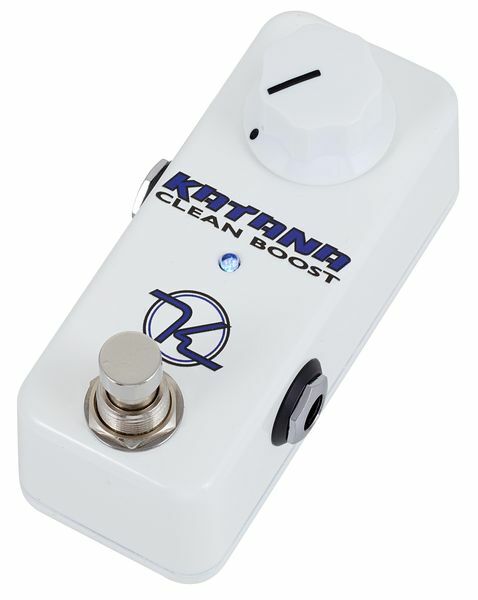 Flip both switches and you have the ultimate sounding boost, thick, creamy, tube-amp sounding, and plenty of volume on tap! 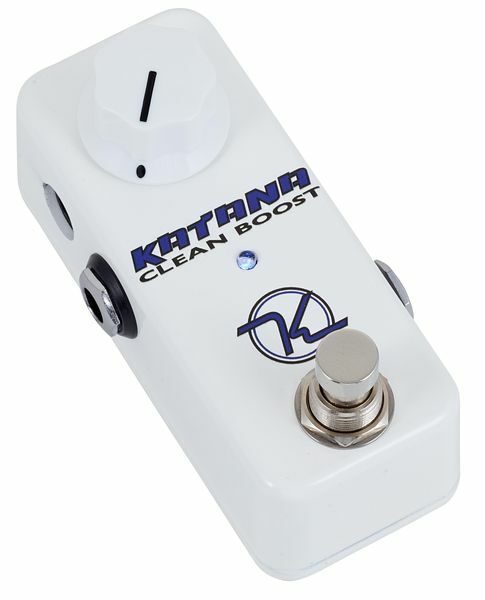 Obsessed with cleanest, most enjoyable tone boosted? Well, Before other people started using Blue LED’s and non-diode clipping stages, there was the TMB and Katana…. Cascading FET stages do the tube-amp-thing like nothing else! Now made smaller, it will fit any board and any budget. Enjoy the pedal that redefined clean boost in the boutique era.